Viswas Community Pharmacy in Nemom is a medical store which sells English medicines. 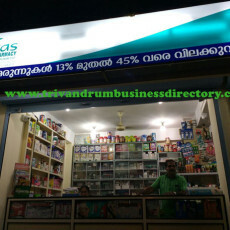 This Viswas Community Medical Shop sells medicines at 13% to 45% discount prices. 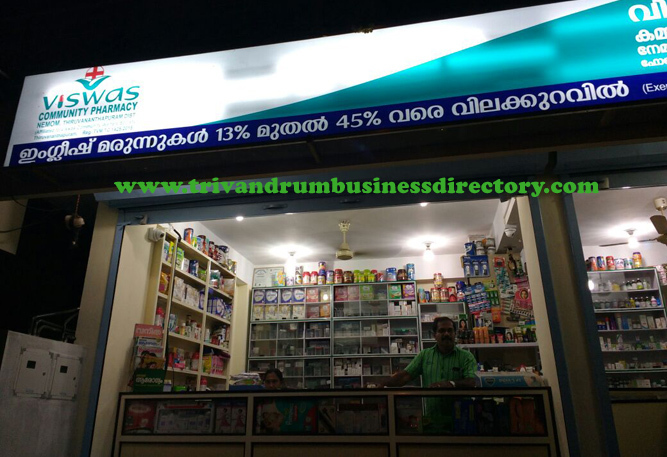 Viswas Medical store sells allopathic medicines, diabetic footwears, antivirals medicines, vaccines, and life saving drugs.